Matias del Campo is a registered architect and designer. His obsessive explorations of contemporary moods are fueled by the opulent repertoire of materialization protocols in nature, cutting-edge technologies and philosophical inquiry, together forming a comprehensive design ecology. In 2003 he cofounded the architectural practice SPAN in Vienna, together with Sandra Manninger, he currently serves as Associate Professor of Architecture at the A. Alfred Taubman College of Architecture and Urban Planning at the University of Michigan. SPAN gained wide recognition for its winning competition entry for the Austrian Pavilion of the 2010 Shanghai World Expo, as well as the new Brancusi Museum in Paris, France. 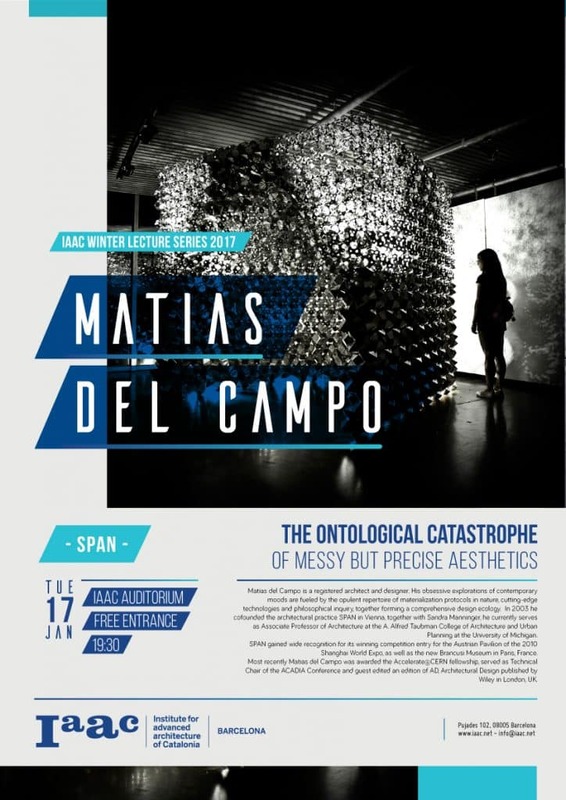 Most recently Matias del Campo was awarded the [email protected] fellowship, served as Technical Chair of the ACADIA Conference and guest edited an edition of AD, Architectural Design published by Wiley in London, UK.